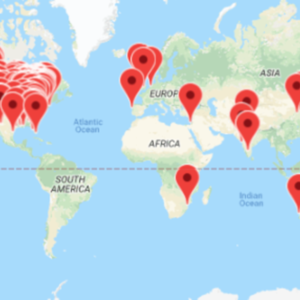 Bike Index's February 2019 Recoveries! 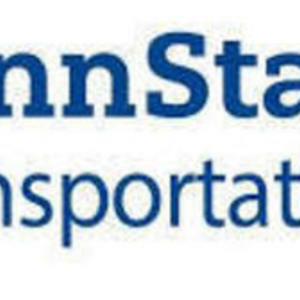 Welcome to our Big (10) new partner - the Pennsylvania State University! Bike Index's January 2019 recoveries! BIKE GOT STOLEN? DON’T DESPAIR: THERE ARE PLENTY OF WAYS YOU CAN RECOVER YOUR WHEELS. Bike Index's December 2018 recoveries! Bike Index's November 2018 recoveries! Bike Index's September 2018 recoveries! tl;dr: Russian devs that we've never ever met before built a Bike Index app for Android! Bike Index's August 2018 recoveries! Bike Index's July 2018 recoveries ! Bike Index's June 2018 recoveries! Who has two thumbs and a bunch of bike recoveries from June 2018? THIS GUY! Bike Index's May 2018 recoveries! Bike Index's April 2018 recoveries! Want to help out at Bike Index? 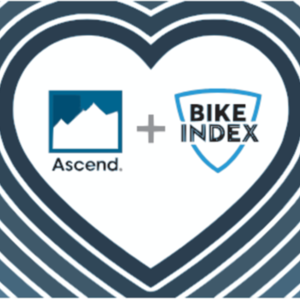 Become a Bike Index Ambassador. Bike Index's February 2018 recoveries! Bike Index's January 2018 recoveries! 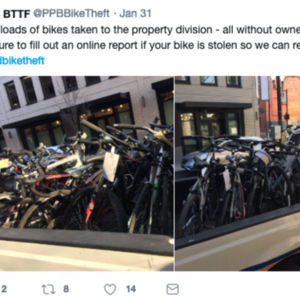 A whole lot of bikes are being stolen from "secure" bike parking in apartments and businesses. Let's talk about that for a sec. If I drive you nuts on the road, be informed before you try to hurt me. December 2017 at the Bike Index - aka "a whole lotta' folks are on the Naughty list ... "
Happy new year! We summarize 2017 and talk about some of the awesome stuff continuing on into 2018 that will benefit us, and you. The University of Pittsburgh and Bike Index.org have announced a partnership to protect Pitt’s cyclists. The BPD will use Bike Index to register, protect, and recover bikes. Who recovers stolen bikes? 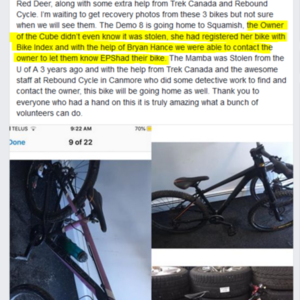 Bike Index recovers stolen bikes. Especially in June! Bike Index's May 2017 recoveries! Bike Index's March 2017 recoveries! The backstory on the 27 wonderful bikes that Bike Index helped recover in Feb. 2017! Bike Index is a 501(c)(3) nonprofit! 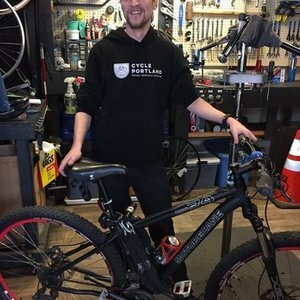 The backstory on January 2017's stolen bike recoveries. Bike Index's December 2016 recovery stories! 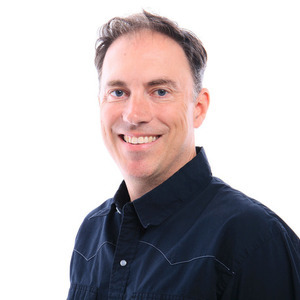 Bike Index partners with LeadsOnline! All of Bike Index's July stolen bike recoveries! Bike Index's March 2016 recoveries! ... in which we help recover some very, very beautiful bicycles. Bike Index's February 2016 recoveries! Bike Index's January 2016 recoveries! There's nothing better than helping return stolen bikes right before Christmas! Bike Index returns @pedalpt's Viva Kilo! Score! Who finds stolen bikes? Bike Index finds stolen bikes! How thirty five stolen bikes made it home thanks to Bike Index during Oct. 2015. Bike Index welcomes a new partner - CyclingUtah.com! It’s been another busy month here at the Bike Index - here are the stories of last month's recoveries. 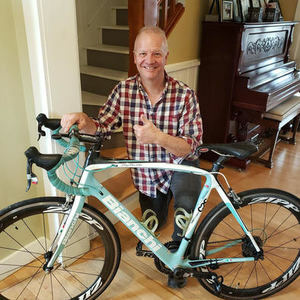 This month's stolen bike recoveries - July 2015 mega-update! "Hi, I have your bike - I found it half submerged in a partially frozen lake..."
The stories—a bike returned on the victim's birthday, a recovery via Instagram and a bike theft victim catching a shop selling multiple stolen bikes. Getting our bike theft data onto a map is difficult enough that until now, I just threw up my hands and hoped someone else would do it. But good people say maps are cool and that we should use them, so it's map time. Bike Index welcomes our newest partners: WeBikeEugene, BikeCleveland, BikingToronto, and BikingInLA! An awesome, helpful infographic that explains how to avoid buying a stolen bike on the internet. Bike Index and Spinlister join forces to get bike theft victims back on bikes! PDX Bike Index users get $30 off rentals with Spinlister! OMG! Five Things That Are Allegedly "Just Like Riding a Bike"
This website is not a bike. 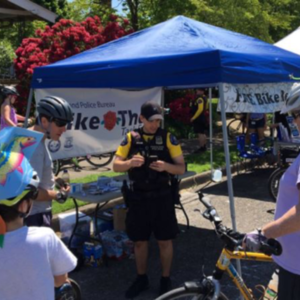 Over 2,123 stolen bikes recovered, and counting. So how is it, exactly, that we've recovered so many bikes? Is there a secret? St. Louis is now using the Bike Index as their official city registry! We are excited about this opportunity to work with Mayor Slay and Trailnet to provide St. Louis with a bike registration that works. Bike Index holiday contest alert! Updates on Kickstarter rewards, Madison trip, and other exciting news! We made our Kickstarter goal! New month brings a lot of exciting new things for the Index! Our Kickstarter launched! Boom! Let's get this thing started! The Bike Index wants to be the best place to save and share your bike on the internet. For us, prioritizing user privacy and being transparent in our policies is a required part of that.